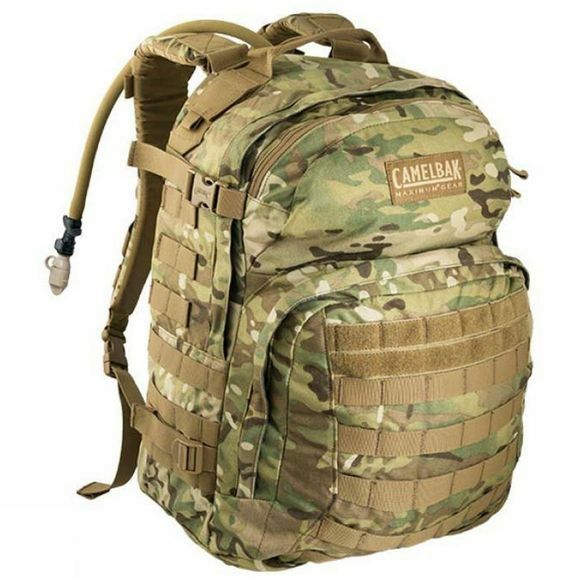 Camelbak have redesigned their highly respected Motherlode pack and the new “Lite” version is proving even more popular with British Forces. Constructed of 500 denier Cordura material which is robust and yet much lighter than the previously used 1000 denier material, the reinforced webbing ensures that there is no compromise on durability. Another improvement can be found in the updated Air Director Back Panel which provides excellent load distribution and ventilation for added comfort in the field. The pack includes a CamelBak 3L OMEGA Reservoir. This is a durable bladder with wide mouth opening and Hydroguard technology to aid the supply of clean safe drinking water in the toughest of operational situations.